Jan 18, 2019: We are happy to inform you that Voxengo Voxformer version 2.12 update is now available for download. 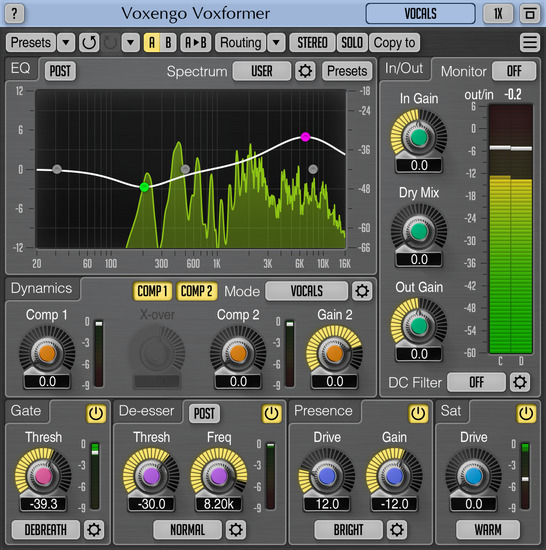 Voxengo Voxformer is a multi-functional vocal channel strip plugin for professional audio production applications, available in AAX, AudioUnit, VST and VST3 plug-in formats (including native 64-bit support), for macOS, and Windows computers. 27% lower CPU usage on AVX2-capable processors (in 64-bit mode).